Imaginestics is proud to be a winner of making the 2013 Technology 200 list! The list is generated by Lead411, a company that provides business addresses, business news, company profiles, daily lead alerts, and other business alerts. Criteria to make the list included that a company had substantial growth, in both revenue and employees, in the past year. It’s an honor to be nationally recognized, and we hope to see more growth and success in the future. Learn more about Lead411 by also visiting their Facebook page or adding them Twitter, @lead411. 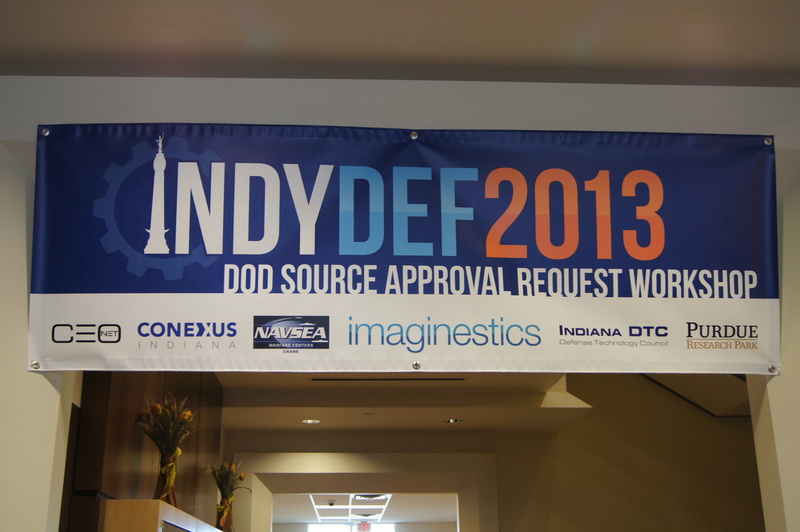 September 5, 2013 – Imaginestics hosted the Indy Def2013 – DoD Source Approval Request (SAR) Workshop at the Purdue Technology Center of Indianapolis. 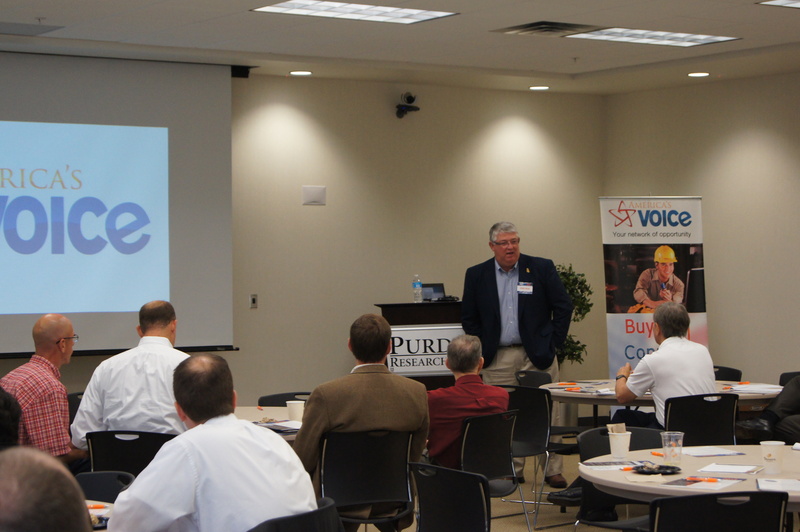 The workshop included presentations from Tim Sanders, Associate Vice President, Government Relations Purdue University; Jacob Schpok, Executive Dir., Office of Small Business & Entrepreneurship; Brench L. Boden, Lead, Mfg. Enterprise Team, Manufacturing Technology Air Force, Research Laboratory; Nainesh Rathod, CEO, Imaginestics; Rob Hill, Business Analyst, Imaginestics; and Reggie Joslin, Deputy for Small Business, Crane. 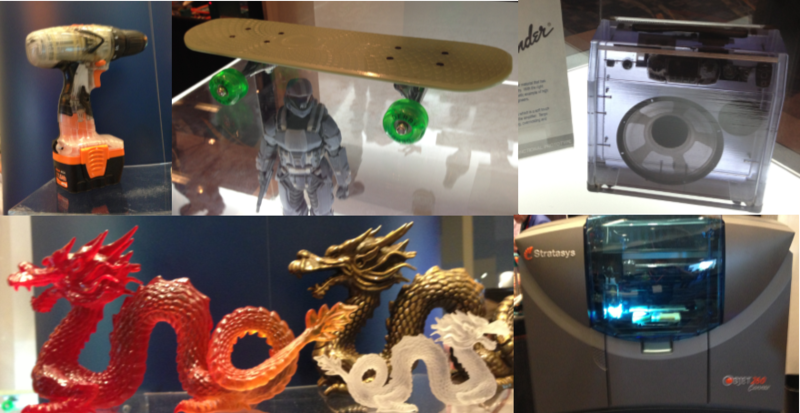 In July, Rob and Greg visited the Inside 3D Printing Conference & Expo in Chicago for the B2B tradeshow located at the McCormick Place Convention Center — upon entrance, 3D Systems fascinated with a variety of brightly colored Cube model personal 3D printers, all performing simultaneously to produce unique creations. 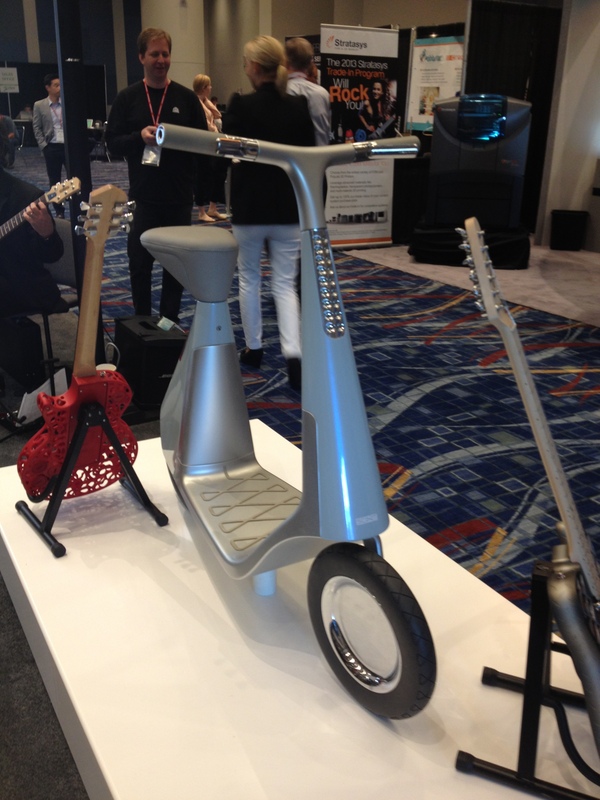 Showcasing their capabilities, a guitarist sat on the side of the exhibit playing an “Americana”-style 3D printed guitar, and next to him was a remarkable display of two printed guitars and full-sized scooter. Moving along they encountered fabbster, a company based in Lupburg, Germany that specializes in home 3D printers that are purchased in a compact box as a partially assembled construction kit. A conversation over the future of on-demand 3D printing (à la Kinko’s) occurred with C.ideas, a prototyping service bureau, though it was hard to not be distracted by their 3D printed car on display, which took five weeks to assemble. 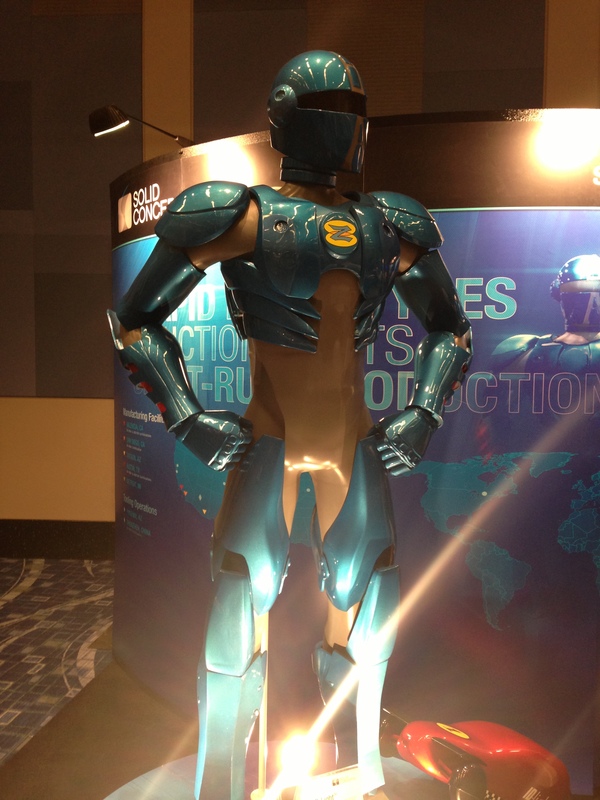 Solid Concepts impressed with ZoomR, a 6’4” superhero mascot for ZoomRP.com that was built, assembled and painted in less than two weeks. The model was created using Solid Concept’s ID-Light technology that uses SLA (Stereolithography) combined with a proprietary laser scanning pattern, producing an outer shell about .030 to 0.040”. Rapid Direction, Inc. (RDI) promoted the grand opening of their retail division, GetPrinting3D, opening in Evanston, IL, and at their booth Rob and Greg got their first look at the 3D scanning process, which utilizes a Microsoft Kinect sensor. After talking with many other companies involved with 3D printing, they ended the visit at Stratasys. 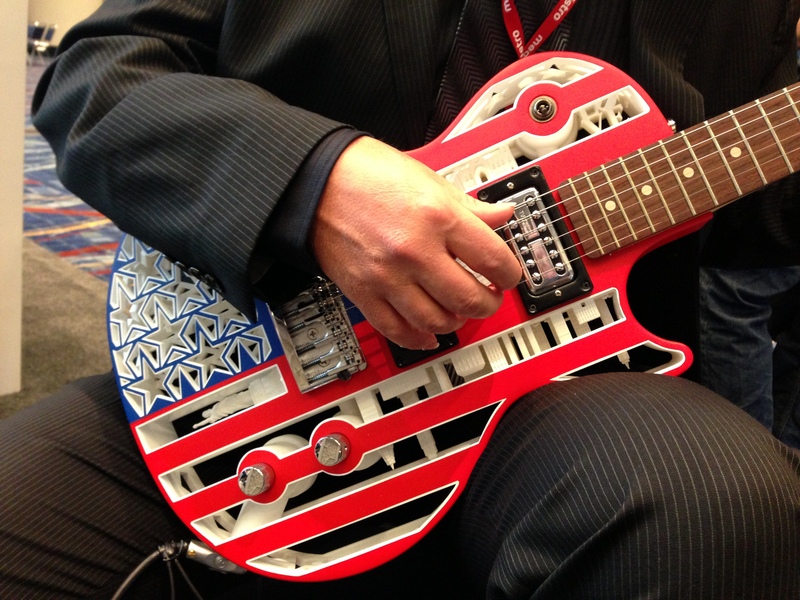 They learned about their line of Idea (Mojo and uPrint), Design (Object), Performance (Dimension) and Production (Fortus) series printers, and viewed the intriguing creations, including a skateboard, drills, a mini Fender amp and more. 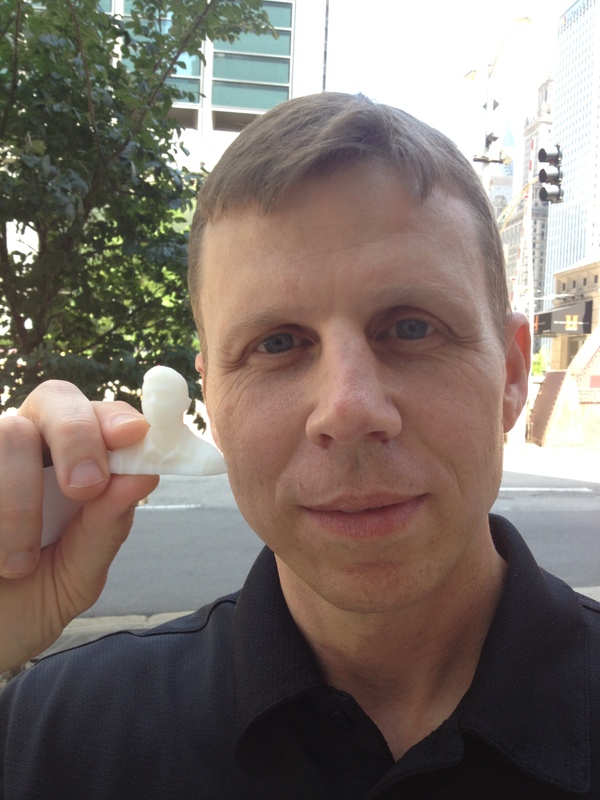 After a quick lunch Rob and Greg headed to The 3D Printer Experience, located at 316 North Clark St. in downtown Chicago, where Rob had an appointment to have his head scanned and printed. With many printed objects on display, the knowledgeable staff were able to teach about the various materials and equipment used in the store as well as the types of projects they’ve been involved with. Working in the Chicago area, staff used Autodesk 123 Catch to take multiple view pictures of Sue, the largest Tyrannosaurus rex specimen ever found and exhibited in the Field Museum of Natural History. Using the app a small model was printed of the dino’s head at the store. Rob sat on a chair placed on a revolving platform as the Kinect was used to capture a 3D image of his head. Using two different programs the image was then cleaned up to remove any holes or open areas, and then using a flash drive the image was printed directly in an UP Mini 3D Printer using ABS+ plastic. Within 20 minutes Rob had a miniature 3D model of himself! The model was scaled to 10% at approximately 2-inches. Besides walking in to have a 3D model of yourself printed there is also an educational benefit for children to learn about 3D printing by designing a pendant on one of the many computers set up in the store. 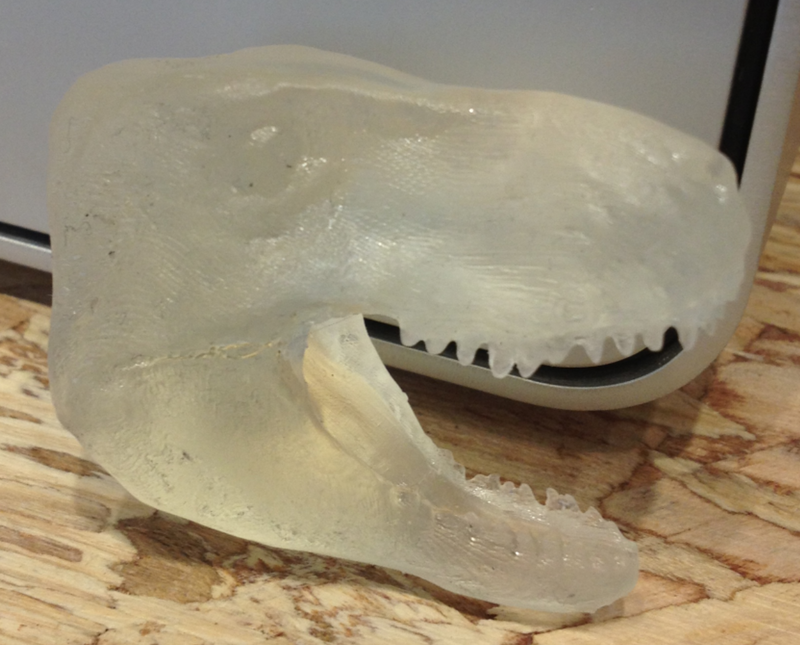 Customers can also have their designs printed locally and also purchase a 3D printer to take home.